Inspect the condition of the existing window to decide if it is a good candidate for an insert replacement window. Any water damage or out-of-square conditions would tip the scales away from a tilt-in insert window and towards full window replacement and water management. Installing new windows in an old home is a popular home-improvement project. 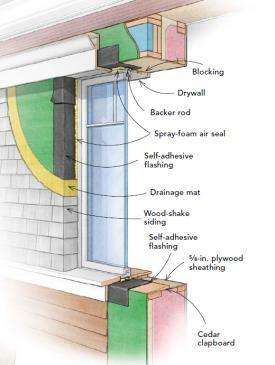 While window replacement is not the best place to begin an energy upgrade, sometimes other factors like comfort problems, operation difficulties, or lead paint concerns can trump energy issues when prioritizing remodeling tasks. And sometimes Fine Homebuilding wants to install windows in a brick house, and you just get lucky because you know one of the editors. Brick walls can seriously complicate window installation and can sometimes confuse even the most experienced builders. Fortunately for us, Mike Sloggatt, who has thirty years’ experience working on brick houses, was available to show us how to assess the situation and do the job right. 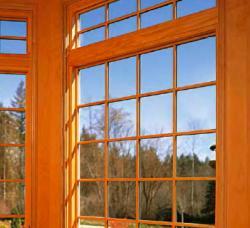 * Inspect the condition of the existing window to determine if it is a good candidate for a new insert window. * Measure for a new insert window. * Air-seal between the new unit and the jamb of the original window. * Install interior and exterior trim. This first episode is available to everyone. The rest of the episodes are available to GBA Pro members only. If you are a GBA Pro member, click here to see episode 2: VIDEO: Replacement Window in an Old Brick House (2 of 4).